I came across this article by happenstance. I found it interesting. I was a freshman when Chuck was a senior. Although I heard about him--who couldn't?--I never saw him run. 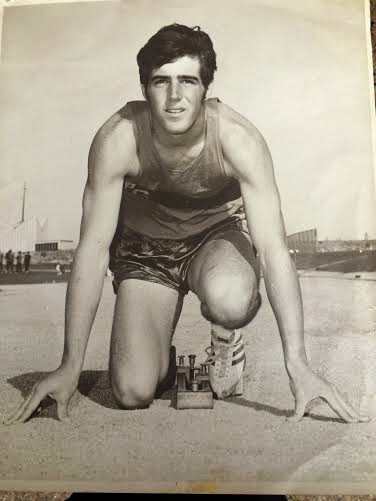 And Coach Etherton was my coach on the Crestmoor High School Cross Country and Track teams from 1971 through 1974. 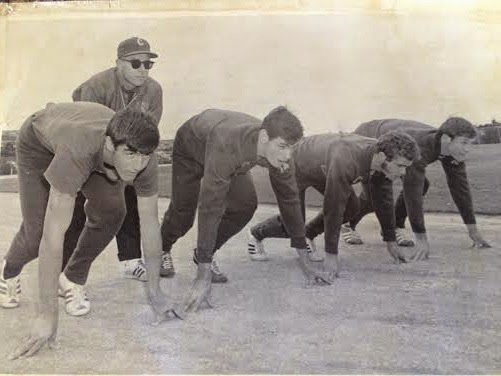 He was a great coach and a wonderful person. Thanks for the positive feedback from both Ralph and Bart. 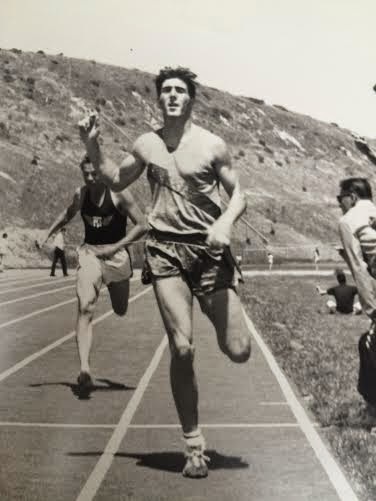 I certainly enjoyed posting this last summer and learning about one of the legendary athletes that came out of San Bruno. Really nice to read of Chuck's athletic career as well as his future success in construction. 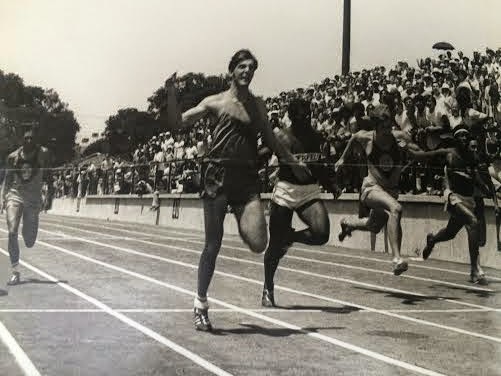 I went to Hillsdale and was blown away watching Chuck win the 100. Sure had no idea he didn't have a fast start. When he was a senior we had a sophomore come really close to him, but this kid smoked cigarettes. Our coaches were heartbroken because they thought he might have had a chance to catch Chuck, and go on to tbe Olympics, but he didn't run track after his sophomore year. Chuck dominated. Yesterday I was thinking of the fastest sprinters I'd seen in high school. Chuck's name popped into my head so I googled him. This is a great article. I'm glad Chuck mentioned Olympic Gold Medal Winner Benny Brown. It was awesome to see them compete on the same track so many years ago. I just ran across this article. I ran with Chuck on the Track team at Crestmoor. I was a long distance runner and remember him well. I remember Chuck taught me how to breath better and more efficiently when I was a freshman. Bart (see the comment above) and I went to the State track meet at UCLA and watched Chuck run the finals of the 100 yd dash twice! and, of course, win the finals of the 220 yd dash. I haven't seen Chuck since he was working as a mechanic after he left Cal. I hope you're doing well Chuck.